A group of old friends whose lives are thrown into chaos when one of their group commits suicide. 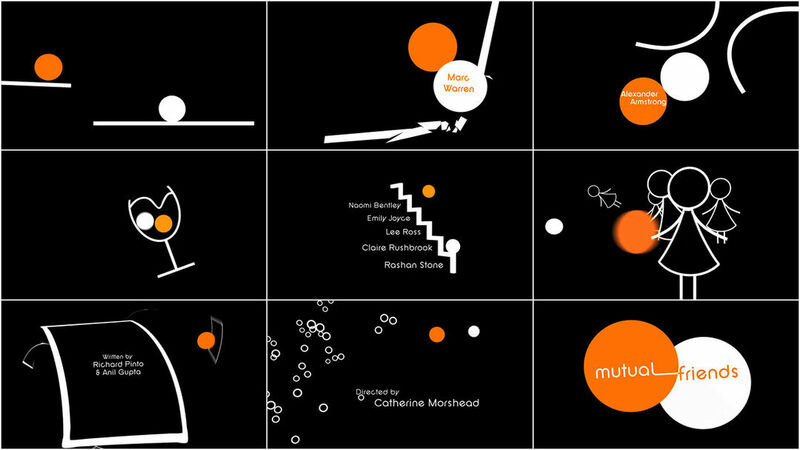 Representing the characters of this BBC drama, playful orange and white dots dance about a stark black background interacting with each other and giving us a clue as to how these two spar their way through each others lives. Despite it's 2D appearance the sequence was animated in Maya not only to give the animator greater control of the characters and environment, but also to add fluidity and personality to the spheres. As the turn around time for the sequence was just a little longer than it takes to make a cup of tea, an added benefit of animating in Maya was that we could quickly render in HD.